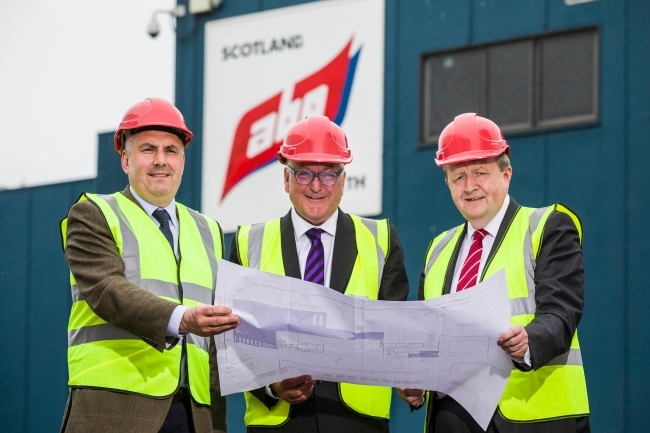 One of Europe’s leading food processors, ABP Food Group, has announced an investment of £17 million for the planned redevelopment of its Perth processing plant in Scotland. The redevelopment which was announced by Fergus Ewing, Cabinet Secretary for the Rural Economy and Connectivity, includes an extension and upgrade of the facilities chilled storage area, dry goods storage, maturation and meat production facilities and staff amenities. On completion, the project which is supported by the Scottish Government’s Food Processing, Marketing and Co-operation grant scheme will create eighty new jobs. The announcement follows a further £3 million investment in cold storage and refrigeration facilities on the site over the past year. ABP has had a presence in Scotland since 1982 and acquired the Perth facility in 1997. ABP Perth employs 280 staff and works with 1,600 farmers from across Scotland and has recently started to source all of its electricity from renewable sources. It has also played a key role in helping ABP achieve quadruple accreditation from the Carbon Trust in recognition of the progress it is making in reducing its environmental impact. The Carbon Trust Standard is the world’s leading independent certification of an organisation’s impact on the environment, verifying action on energy use, Co2 emissions, water use and waste output. It recognises continuous excellence and year on year improvements in the area of environmental performance.